I took my digital recorder to the 40th anniversary festival in London and played at being a comics journalist. 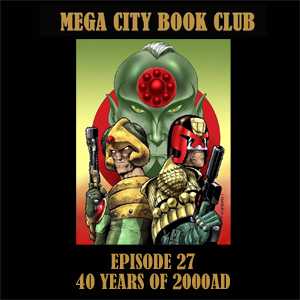 Listen in as some of the creators, staff and fans of 2000AD discuss the highlights of the day and their favourite moments from 40 years of 2000AD. Adam Murdough from the Comic Geek Speak podcast is my guest to discuss some madcap hilarity from the Moore and Davis droids. Tearaway teens with terrible thermonuclear weapons! Buy your copy of D.R. & Quinch's adventures at the 2000AD store. 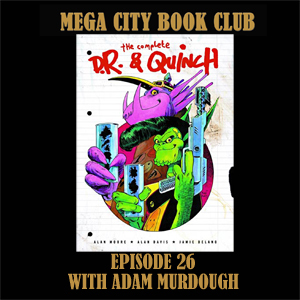 Be prepared for thrill-power galore as I'm joined by David Bishop himself to discuss his history of the first thirty years of the Galaxy's greatest comic, and the new updated version produced with Karl Stock for the 40th birthday. Check out all of David's other books including his companion guide to Morse and Endeavour on his amazon author page. 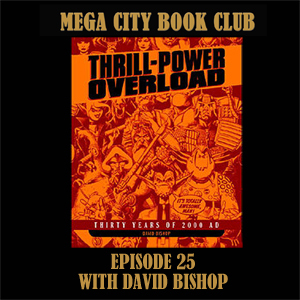 And head to the 2000AD shop for your copy of the new version of Thrill-Power Overload.